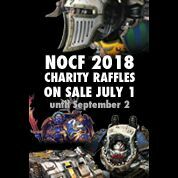 I'm back to talk about the new release of the Kharadron Overlords! Now I am a little biased because I have always been a massive fan of anything related to the dwarves, but i'll talk about the negatives to this this release first and then on to all the postives! As a Dwarf player I really wanted to see them combine the Duardin into one complete battletome, you could spare the fyreslyers but it would have been a good opportunity to update their already out of date book. However its the Dispossessed that really miss out as there is an entire range of great models there which really need a book to make them in any way competitive or more fun for narrative play. So this new battletome looks like it is just for the Overlords and there also doesn't look like there will be any crossover between the two factions! Although I may be proved wrong yet! On the positive side of things the models look fantastic in my opinion, yes I do prefer low fantasy dwarves but its hard not to like this release. I'm majorly excited from a gaming point of view to see how these guys play and perform on the table when we see the rules. It looks it won't just be a gun line as the skyships and balloon guys will provide the maneuverability dwarves have always lacked. Probably the worst model of the lot for me, very strange aesthetic and the top hat I really don't like so hopefully there's another head option but he looks like a pretty tasty named character on the gaming side of things. I think he has the combination of both shooting with the cannon, combat with the chainsword?! and exoskeleton providing his added power and strength and the weird balloon contraption for maneuverability! Just lose the top hat! I love the look of this guy though, I'm sure he can kick out some mortal wounds! It also looks like he has a triple barreled pistol of some sort. Probably a standard overlord hero, it will be interesting to see if he has build options, but no exoskeleton like the previous hero. 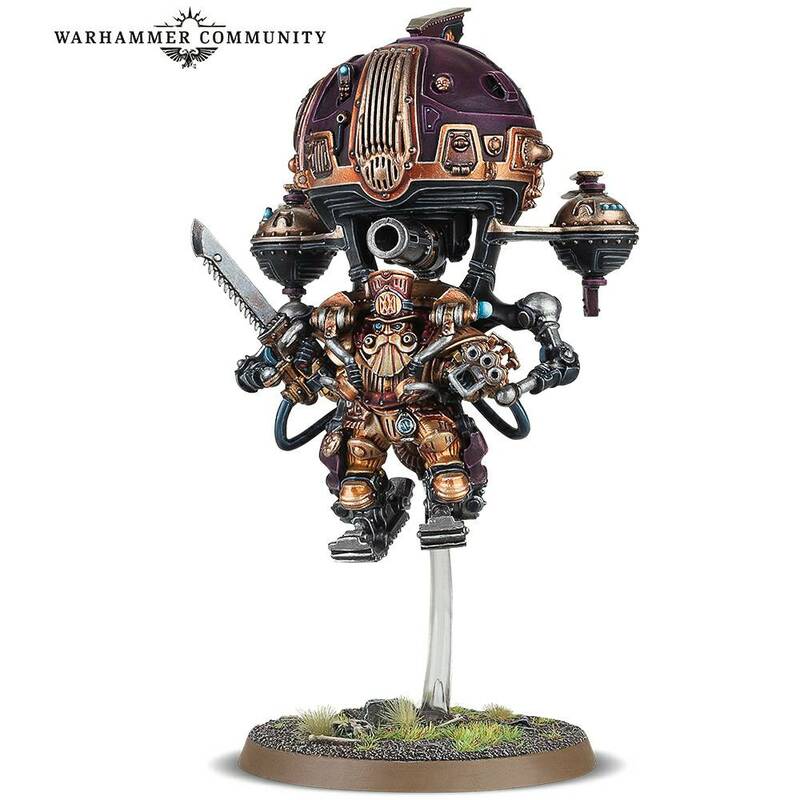 My favourite character of the release is he some sort of dwarf techpriest or is he a combat hero with those mechanical arms attached to his hammer?! interesting! Such an awesome looking hammer! Also a very cool sculpt on this guy, I imagine he will be the character to provide some well needed buffs and synergies to the army, using some sort of chemical substance? Hopefully not magic based though! And finally this chap! With his hi tech watering can... No idea what this character will do other than spray nasty chemicalness all over the enemy? He does however look very similar to the gun totting infantry so maybe he's a character build from inside that box. I would definitely like to see character builds from the infantry boxes like in the flesh eater book as it will add more depth to the army in terms of gaming. So this is just the first post I am going to write on these guys as I will be doing another looking at the models and build options for the battle line and then the behemoths in the this army in the next week before their release. I will be starting this army as soon as they are released so I will also try and provide WIP posts in april and beyond! Let me know what you think to these characters and what you think they'll be able to do in the game! Also apologies if I didn't get back to you on my last post as I was hit by one of papa nurgles plagues! Hey Aveinus, just started following your blog and I really love this article! Those characters are all looking great (I even love Mr Monopolyman), I agree it would have been nice for more dispossessed. I'm hoping they include a bunch of stuff particuarly on their origins vis a vis the engineer's guild and gyrocopters. Can't wait to get my mitts on them come April! Haha somebody has to love monopoly man! ;) I do think he will be a very good model in the game, so it will be interesting to see what his rules are! Thanks for following us, we can't always post too often due to us being part of the Battle Bunnies too, But I will be doing a review of the book when I get hold of it! I think it would also be a missed opportunity to not have the gyros or ironbreakers in the book as they fit aesthetically, but if not then hopefully this means we will see another Duardin Battletome in the future. They do indeed! Can't wait to review the book!